Home > Tax - Educational Loan > Educational Loan Repayment : Consider These 5 Points..! 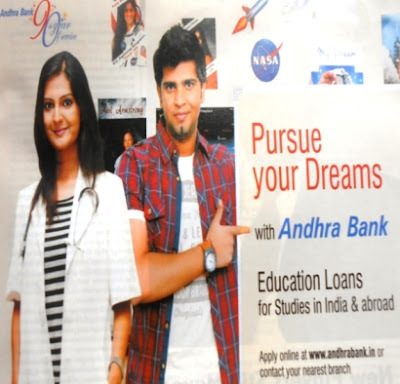 Educational Loan Repayment : Consider These 5 Points..! (1). Deduction on Repayment of Interest on Education Loan is allowed as deduction Under section 80 E for an Individual and there is no cap on the deduction. The assessee can deduct the entire Interest on Educational Loan from his Income. Deduction can be made only if the Interest Paid. (3). Repayment of Principle amount - NO DEDUCTION. (4). The Assessee avail the deduction for the purpose of pursuing higher studies of self, spouse, children or / the children whom he / she is guardian. (5). Deduction shall be allowed in computing the total income in respect of the initial assessment year and 7 assessment years immediately succeeding the initial assessment year or until the interest is paid by the assessee in full, whichever is earlier.